He grew up into a handsome dog and such a fun companion. Whatever was going on around here, he was a part of it. A mix of American Farm Collie and an old line of Border Collies, he was super smart and loved to please. Here is a collection of pictures taken from 2005 to 2009, in his younger years. You’ll see that he loved to play in water, go to the mailbox and go on walks. 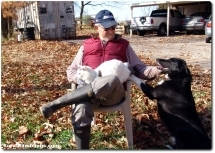 He was good with all the animals, being protective of the young ones but not taking any flak from ornery roosters or older sheep and goats. In short, he was a gem of a dog. Always the master of the "Puppy Dog Eyes" look. 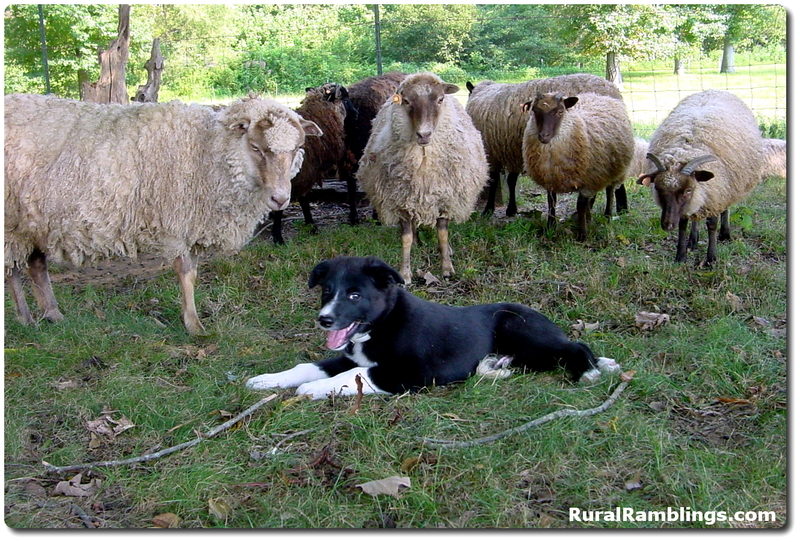 2005: Keeping watch over twin lambs. 2005: Putting a mean rooster in its place! 2005: Checking out little goat kids. 2005: Toby loved to play in the creek. 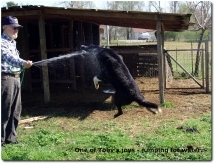 2006: Toby loved to jump for spray from a water hose. 2007: Let me tell you a secret! 2006: Did I mention he loved to jump for water? 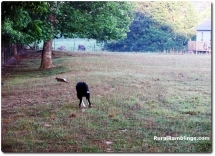 2006: Toby playing fetch with The Farmer. 2006: Toby with The Farmer and Spot the cat. 2007: Toby *always* loved to carry a big stick! 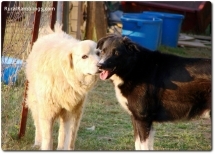 2007: Toby with Neffie, our first Maremma Sheepdog. 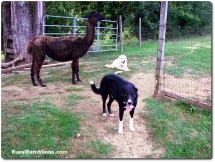 2007: Toby with Keira the llama, and Neffie. 2207: In his younger years, chasing rabbits was fun! 2008: Toby posing by a blooming Sedum Matrona. 2008: IF you cannot find a frisbee, make do! 2008: Say "Wanna go to the mailbox" and he was up and moving! 2009: He did love to play in the creek! 2009: Surrounded by a flock of chickens. 2009: YES, he loved playing in the water! 2009: Getting ready to go walking with the Farmer. 2009: ALWAYS carry a BIG stick! 2009: And if you can not find a stick, try a board! 2009: Just resting and looking handsome. 2009: Doing his job of barking in the rain to chase thunder away. 2009: Best pals Toby and Neffie.